"If the facts don't fit the theory, Change the facts. " 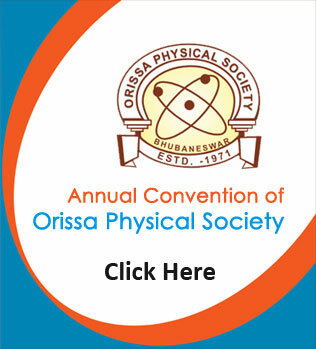 Each year OPS organizes its Annual Convention in collaboration with some institute. In such conventions National Seminars are held with reputed speakers from national and international level. The research schools and physics teacher present their research papers in such conventions. During these conventions the senior physics teachers are felicitated and young scientists awards are given both in theory and experiment. The 36th Annual Convention for 2019 is going to be organized on 2nd – 4th February 2019 at Department of Physics, Parala Maharaja Engineering College (PMEC), Berhampur, Odisha .An International Seminar on “Emerging Trends in Physics and Applications ( ISEPTA-2019 ) is going to be organized during this convention. To encourage physics teachers of the colleges to do research. To attract young physicists towards research.